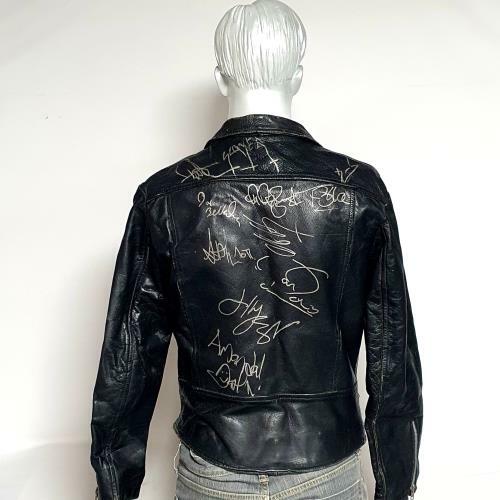 The jacket was signed by all members of Slayer (Tom Araya, Jeff Hanneman, Kerry King and Dave Lombardo) at the Hammersmith Odeon show in September 1988. Along with the members of Anthrax (Scott Ian, Charlie Benante, Frank Bello, Joey Belladonna) after a show at Hammersmith Odeon in March 1989 during the Road to Euphoria tour. Dan Lilker's signature was acquired a little later when he was playing for Nuclear Assault at a concert in Milton Keynes, who has also dedicated with a name. Megadeth's Jeff Young signed this at the Monsters of Rock festival in 1988. You are unlikely to see another signed item with all these autographs together like this again, especially with the bands ever changing line-ups and the sad loss of Jeff Hanneman in 2013. 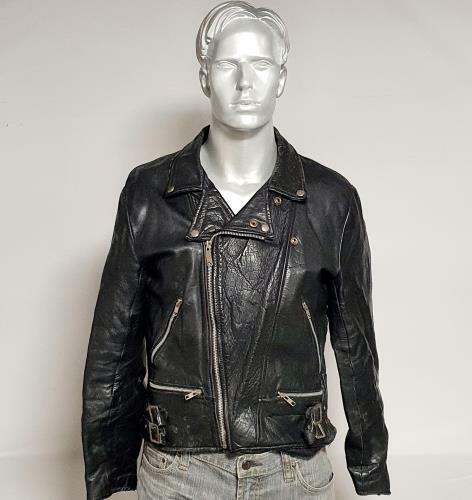 A must own item even to just have on display.